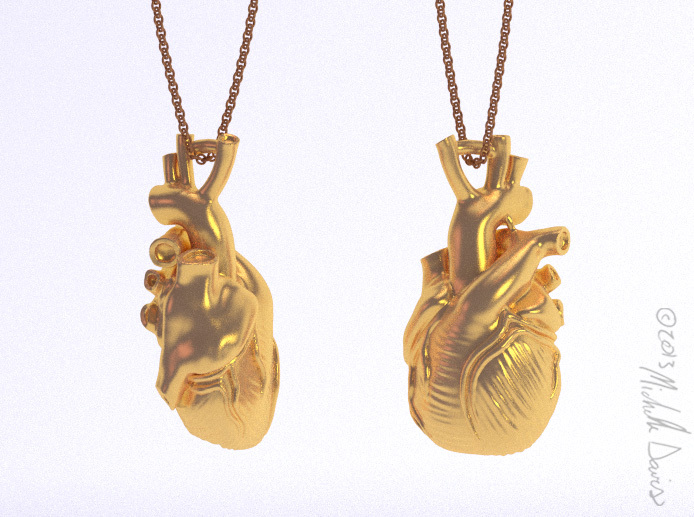 It was time to update the 3d sculpted heart! 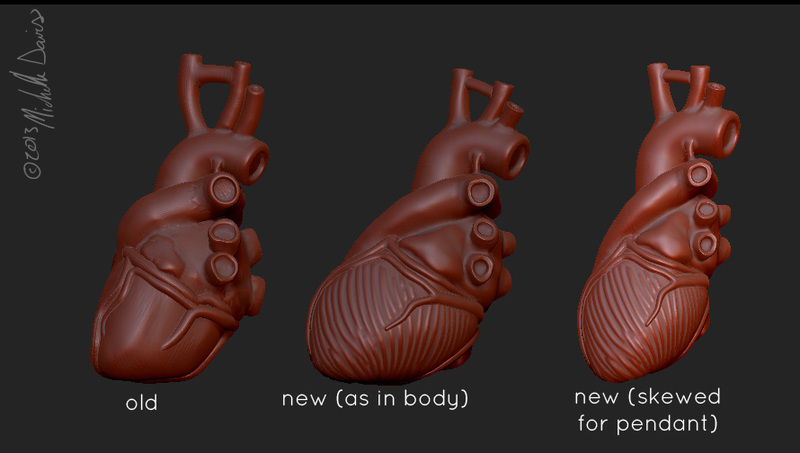 The older version wasn’t awful by any means, but especially now being able to use better digital sculpting tools, improving the heart was being begged for. 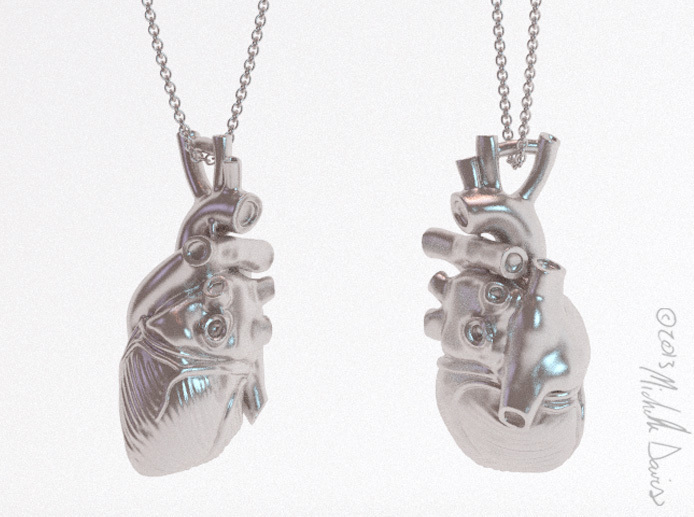 Below – mock renders of the new heart compared to the older one. skewing the heart flatter front to back (ant. to posterior) so that it lays more nicely on the neck. This is actually most of the reason for updating it- while the old one was accurate and nice looking, it didn’t actually function fantastically as a necklace to wear. I really smooshed this new one as much as I thought I could get away with, so this new one should lie great on the neck/chest! Below is a couple shot comparing the old, new model, and new model skewed and optimized for wearing as jewelry. 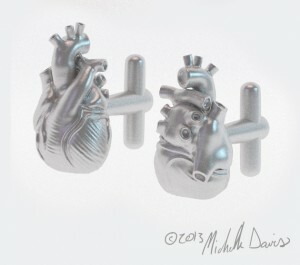 Can you tell me the price of the silver anatomical heart cufflinks?